A pruning demonstration by long time rosarian, Annette Dobbs at a local nursery was the inspiration for the formation of our Rose Society. Her enthusiasm and energy proved contagious and several people attending expressed interest in starting our own group. 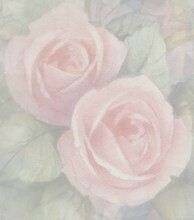 Annette offered her help and expertise in organization, an offer which was gladly accepted, and so The Mother Lode Rose Society was born. On June 26, 1988, we became an Affiliated member of The American Rose Society. There were twelve charter members: Annette Dobbs, Bob Douglass, Bea & Fred Fabian, Earla & Dan Brown, Marlene & Sylver Schaller, Glen Farmer, Henrietta Widmer, Judy Lester, and Judi Babcock (now Lindholm), who was our first President. In November of that year it was decided to take on the ambitious project of planting a public rose garden at the Senior Center in Jackson. Soon with a lot of hard work, the dream became a reality, with 134 roses planted and labeled. A redwood gazebo was built as well as an archway trellis. A stone birdbath, a bronze sun dial, weather vane and benches were donated. A fence had to be built and a gate installed.